So much yarn, so little time. : the beautiful game? 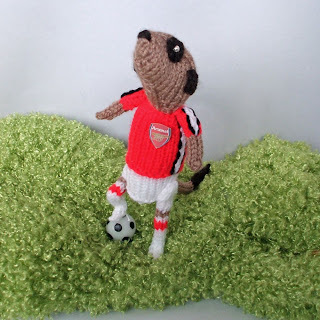 Your very own footy-playing meerkat! This chap plays for Arsenal, but (as always!) I'm open to challenges! I'm not a footie fan, but that meerkat is brilliant!